A black box salvaged from the Lion Air plane wreckage needs repairing, and the damage has caused problems for investigators. The device, which holds data from flight JT 610, could give clues about the crash, but it „needs special handling to ensure its data survives,“ the Associated Press reported on Friday. The Boeing 737 Max 8 crashed into the Java Sea on Monday, killing all 189 people on board. On Wednesday, Indonesia’s National Transport Safety Committee said it could take six months to work out what caused the crash. A black box from the Lion Air flight that crashed into the sea on Monday is damaged, and „needs special handling to ensure its data survive,“ according to a report from the Associated Press. The black box salvaged on Thursday morning from Lion Air flight JT 610 is not fully intact, the deputy chairman of the National Transport Safety Committee Haryo Satmiko told the news agency. He said the „crash-survivable memory unit“ was broken open and had been affected by the sea water. The state of the device is another complication in the process of working out why went wrong with the plane. Reports since the plane crashed have highlighted apparent technical problems, which led to a distress call the day before it crashed, and a distressing, erratic flight on the trip directly before its fatal take-off from Jakarta. 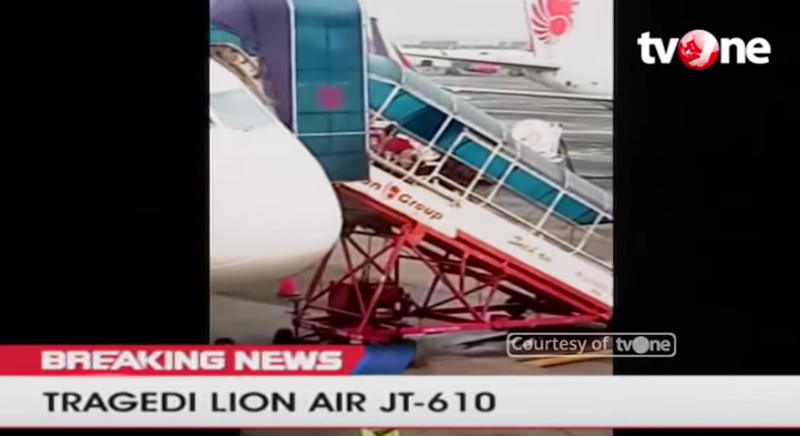 Satmiko said the state of the device will require Lion Air to provide a new outer casing, and that investigators will have to replace some of the wires inside, the AP reported. The nearly-new Boeing 737 MAX 8 crashed into the Java Sea early on Monday morning after leaving Jakarta’s Soekarno-Hatta International Airport for its destination of Pangkal Pinang, on Bangka island. The pilot requested a Return to Base (RTB) minutes after taking off, but control lost communications with the plane thirteen minutes later. No survivors have been found. As of Friday evening, divers have located victim’s personal belongings, the plane’s engine, landing gear like the wheels, and potentially a large chunk of fuselage.